EDINBURG — The economic development arm of the city is under new leadership. 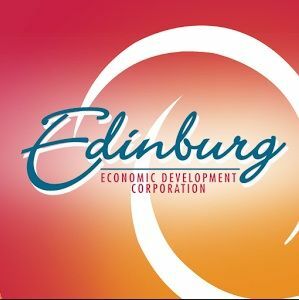 The Edinburg Economic Development Corporation Board named Edinburg councilmember Jorge Luis Salinas the new board president during a meeting in December, according to a corporation news release sent Tuesday. Salinas replaces former president and Edinburg councilmember Gilbert Enriquez, who took the helm of the corporation shortly after he was elected to the city council in late 2017. Salinas stated he was honored to be trusted with the position. “We have a great board and I look forward to our continued work as we aim to improve the quality of life of our residents, create workforce development opportunities, invest in infrastructure and attract (commerce) and business to the city of Edinburg,” Salinas said in a news release. The document also noted that the board awarded two grants to help as many small businesses upgrade their facilities: Willie B’s BBQ and G&S Glass. Each received a Small Business Renovation and Improvements Grant, which is capped at $10,000 to help long-time businesses stay competitive. Gloria Gonzalez, the owner of the barbecue joint who opened the restaurant with her husband in 2012, “applied for the program in hopes of receiving assistance to make needed exterior repairs and kitchen updates to keep her busy restaurant flourishing,” the release stated. The $10,000 grant will cover air conditioning replacement, exterior paint and a new kitchen range for the restaurant. “G&S Glass, founded by Mr. Gus Casas in 1990, will receive assistance with a showroom remodel, which includes painting, windows, mirrors, building upgrades, shower doors and a display case,” the release read. Salinas said the grants were critical to helping “our local mom and pop shops” to continue growing. “This is a great program for our local businesses and we are proud to help our businesses succeed in any way we can,” he said.